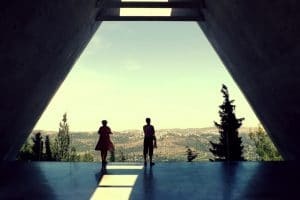 Your visit to Yad Vashem may not be the most fun couple hours of your trip in Israel, but it will most certainly be a humbling experience. 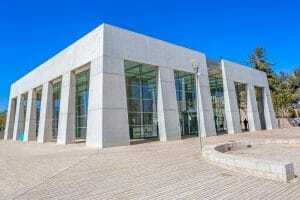 It is a Holocaust Memorial Museum that safeguards the remembrance of the Holocaust for us as well as future generations. The campus includes indoor museums, outdoor monuments, exhibitions, memorial sites, gardens and sculptures- all devoted to preservation of the Holocaust and those who were part of that fatal time in history. There is no holocaust museum like it in the world, and the Museum provides professionally guided english tours and english audio guides. A piece of advice: prepare yourself for a highly emotional journey through the history of world war two, and specifically through the eyes of the Jewish people.